Funeral services will be held at 6:30 PM Saturday October 27, 2018 in the Gilbert Funeral Home, Algonac, MI. Visitation Saturday 2-4 & 6-8 PM. 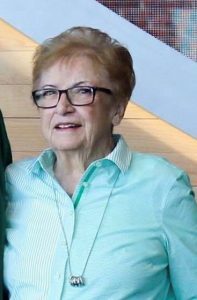 Patricia E. DuLac, age 83 of Clay Twp., Mi passed away October 25, 2018 in the St. Joseph Mercy Hospital-Oakland. She was born May 31, 1935 in Detroit, MI. to the late Earl and Monica (nee Kessler) Endres. She married Joseph A. DuLac Jr. on June 20, 1953 in Marine City, MI. He died April 3, 2018. 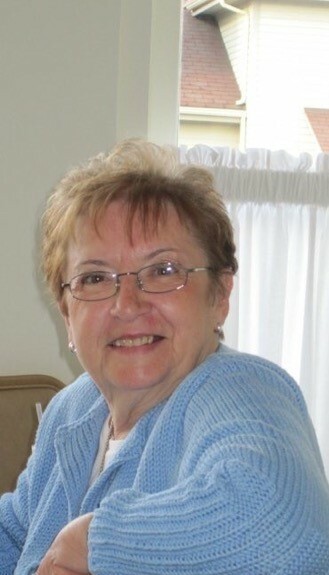 Pat was an avid quilter, gardener, reader, and a wonderful cook. She was a devoted mother, grandmother and great grandmother. She enjoyed spending time with her siblings, family, and friends. She was an extremely giving person. 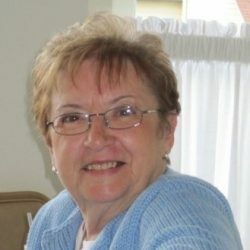 Mrs. DuLac is survived by her children Rene Boraks, Karen Presutti, Joseph (Beth) DuLac III, and Catherine (Ralph) Girardin, siblings Robert (Joanna) Endres and Elizabeth (the late William) Vayko, 8 grandchildren and 6 great grandchildren. She was preceded in death by siblings Mary Ann Fontaine and William Endres. Funeral services will be held at 6:30 PM Saturday October 27, 2018 in the Gilbert Funeral Home, Algonac, MI. Visitation Saturday 2-4 & 6-8 PM. Memorial donations may be made to the Family Wishes.